 1410 customers have given this product a 5-star rating. Of these, 1352 customers have written no texts or given their feedback in another language. 330 customers have given this product a 4-star rating. Of these, 321 customers have written no texts or given their feedback in another language. I've been reading about this legendry microphone for years, particularly as a mainstay of rock bands. I gave in and bought just one even though my small stable of microphones never go near rock bands although some do service in recording choirs. Upon receipt, I examined it and tried the switch and thought that it seemed very slack however how could I justify sending it back as I had only one SM58S so no comparisons were possible. Not fazed by this possible problem, my SM58S had a somewhat unexpected first outing that is as a comperes' microphone on a Quiz Night. I was the Quizmaster and it performed faultlessly. That switch design was almost certainly meant to be slack as it switched effortlessly between on and off between questions. Giving the microphone appropriate equalisation via the mixer it gave my voice a flattering good cadence. Not only that; when I gave our honoured guest a stint on reading the political questions selection, (she being our local MP) the SM58S gave her voice the same accurate projection as it did of mine. Of note was that feedback was minimal or nonexistent which was surprising as the speakers were close by. 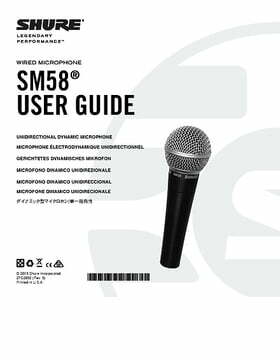 Perhaps all SM58S users have known that for years. Finally and of equal importance is to mention the shape and design. Again I had some pre-conceived idea when I first took it out of the box; too short and sloping grip not right ? How wrong could I be ! As soon as it was coupled to a XLR cable the feel of the SM58S was just right both in weight and design. Its apparent shortness (compared with some more recent designs) was just an absolute boon to an amateur quizmaster, such as myself, who has to hold a microphone for couple of hours in a crowded room where questions are read and an appropriate pause is the norm. I say, this bearing in mind that it is not appropriate at such events to stay in one place using a stand. This microphone is one I highly recommend for all these reasons some of which were not anticipated. 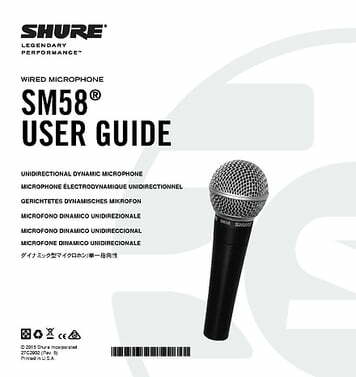 The Shure SM58s is a near legendary bit of kit, robust, well made, excellent materials, giving a great sound quality, that is more than capable of withstanding heavy gigging. I suspect, come the nuclear apocalypse, these microphones, along with cockroaches will be the last thing operating.